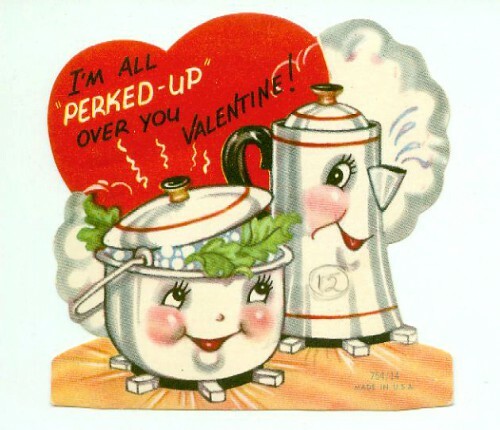 This vintage school kid valentine features aluminum kitchenalia getting all steamy over Valentine’s Day. The bottom ends are to be folded so the card can stand up. 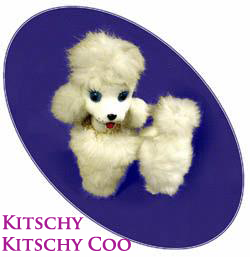 No maker markings, just Made in U.S.A. and 754/14; 3 1/2 inches tall.